Outdoor Living Space, Patios, Decks, Outdoor Fireplace | Haney Landscaping, Inc. In our modern world, the backyard is taking over as the favorite gathering space for cooking, entertaining, and relaxing. More and more often, homeowners are bringing all the comforts of their indoor rooms to the outdoors by creating multipurpose outdoor living spaces that function as inviting extensions of their homes. 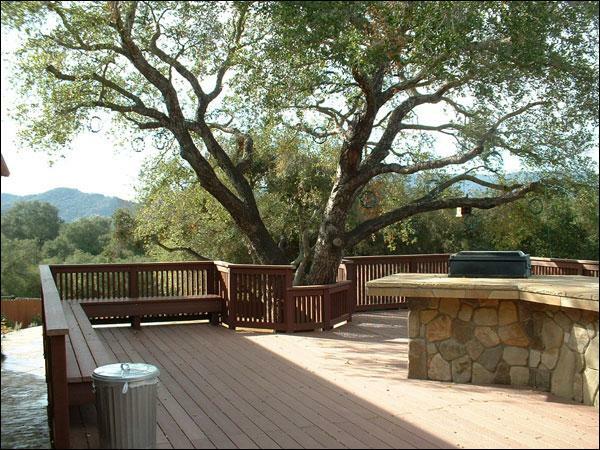 In creating an outdoor living space, one must think "What will I use the space for? What elements will I need in the space to enhance its use? Do these elements and fixtures, or the use of them, require a covered patio/roof or will natural light suffice?" 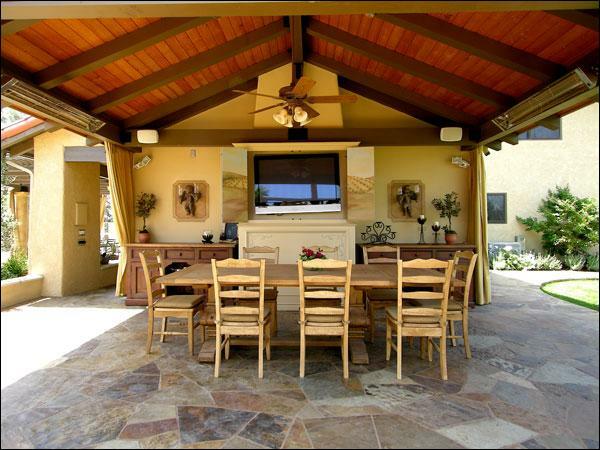 Most outdoor living spaces in Santa Barbara, Carpentaria, Ojai, Ventura, Camarillo, Oxnard, Thousand Oaks, Westlake Village, Agoura Hills and Newbury Park include covered or open-beam patio covers. Some of these are detached (Pergola), others are attached to the house. A variety of patio surfaces, made of concrete, flagstone, brick or a combination of these, are utilized. Raised wooden decks or patios are very common, and may include custom bench seating, custom sofas & love seats, in-ground or regular fire pits, and above-ground or sunken Jacuzzis. 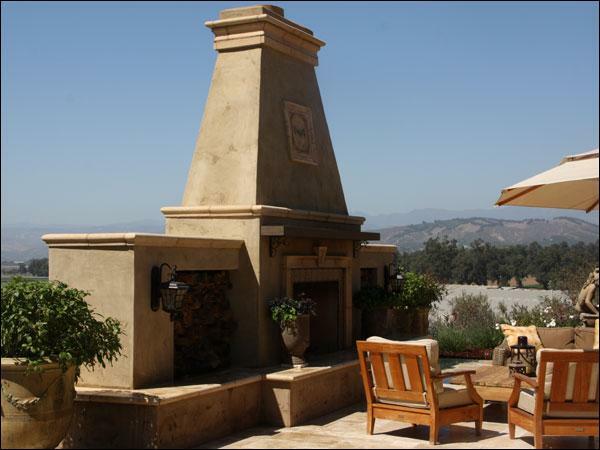 An increasingly popular addition to outdoor living spaces is the outdoor kitchen. They consist of grills, doors, drawers, warmer ovens, microwaves, blenders, side burners, sinks, dish washers, ice makers, refrigerators and more extravagant features such as wood-fired pizza ovens and EVOs (flat grills). Built-in cabinetry, flat screen TVs and electric or gas heating elements are also additional elements that may be considered. Finally, outdoor living spaces may also include water features, architectural accents, lighting and wood-burning or gas fire places. Having a complete design drawn to scale will help in plotting and placing all of the elements you have chosen, and ensure that your new outdoor entertainment area makes the most efficient use of your space, and ultimately bring you the most pleasure. Outdoor space is literally a blank palette for the homeowner, and you are only limited by your imagination, and of course, your budget.